“Transhumanism fills people’s hopes and minds with dreams of becoming superhuman,” he writes, “but the fact of the matter is that the true goal is the removal of that pesky, human free will itself.” For those that remain, that is. 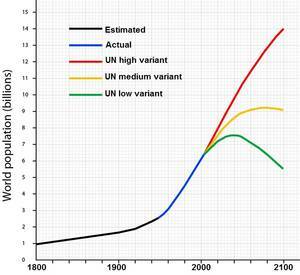 TransEvolution reveals the darkest of depopulation strategies. Already over 100,000 people have cochlear implants, which have a direct neural connection. One-third of all US military missions will be unmanned by 2015. Cyborg soldiers and bipedal machine avatars will allow remote operation. Stealth bombers undetectable by radar, retina enhancement and self-replicating nanobots already exist. Author of Deconstructing Wikileaks, The Octopus Deception, and Shadow Masters, Estulin is an award-winning investigative journalist who came to global fame with his best-selling book, The True Story of the Bilderberg Group, which was translated into 53 languages. Known as Homo superior, H+ is being developed by “the convergence of the NBIC fields that can improve human performance: nanotechnology, biotechnology, information technology and cognitive science,” from an earlier piece mentioning Ray Kurzweil. Estulin deems him the face of transhumanism. UK health authorities, as well as the US FDA have been discussing decriminalizing human germline modification for a couple years now, despite earlier catastrophes. 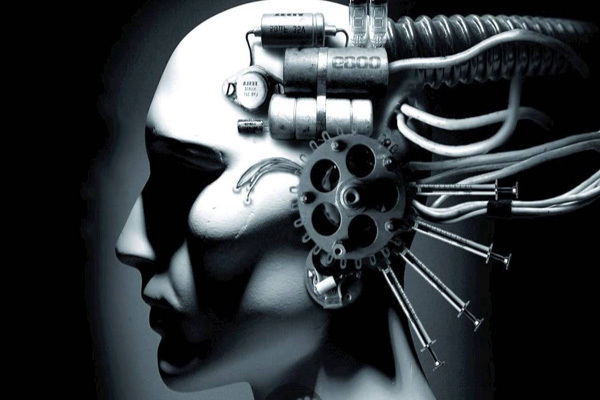 The transhumanist movement is long underway with at least 30 genetically modified humans born by at least the year 2000, and likely others—not admitted—populate their ranks. Globalists plan to seize all of the planet’s assets, natural and otherwise. One of the ways used to achieve these aims is by collapsing the global economy, which he reminds us will not hurt the 1% (or the 30% supporting them). They’ll simply create a new monetary system that inures to their benefit. The fictional fiat monetary system we live under today is merely a Ponzi scheme for gambling debts now foisted on the world’s populace, as if “we” owe them for their failures. Its collapse is being engineered, Estulin warns, describing an economic worldview supported by the ideas raised in Naomi Klein’s Shock Doctrine, John Perkins’ Confessions of an Economic Hitman, and the films, The Corporation and The Idiot Cycle. The orchestrated color revolutions, austerity measures, IMF infrastructure loans, and agricultural systems that put independent farmers in debt are all part and parcel of their plans, he warns. Some of the book was dense enough to give the reader pause more than once, but given who listens to him, the material is worth digesting. In a front-page article, Wall Street Italy called Estulin “one of the few people who understands the current crisis.” He has given two press conferences at the European Parliament on the Bilderberg group and the international monetary crisis. In 2010, he met with Fidel Castro and gave a speech to the Joint Chiefs of Staff of the Venezuelan armed forces. Global economic destruction supports a number of strategies to ensure the 1% seizes control of all remaining assets, natural and otherwise. Financial collapse cripples nation-states, an idea the merchant globalists deem “quaint” in light of modern economic realities where corporations write the rules via trade agreements that supersede national laws. With the global financial meltdown in its last phase of disintegration, the elite and their allies on Wall Street want to dictate to other sovereign countries the conditions that allow them to continue the plunder of their wealth in order to keep afloat its speculative cancerous system. Any country that refuses to submit to the conditions imposed by the elite is threatened with war or “regime change”, as we have seen in Ukraine and other countries. The bankers who died, be they suicides, accidents, murders or whatever, all worked in very important positions and for the corporations who formed part of the World Company Ltd. [an entity described in detail in his book]. Given Fukushima, Chernobyl, Three Mile Island and the 2,000 exploded nuclear bombs over the last 70 years, along with industrial pollution, genetically modified food laced with nanobots and toxic chemicals, and poisonous pharmaceuticals, that green line seems the most likely scenario. This is known in population dynamics as creating a “bottleneck” where, along with sheer numbers, much of the genetic diversity of a species is forever lost. This does not bother eugenicists. They plan to alter the human genome much further, to enable them to thrive under the toxic sky. Estulin estimates the target population is between one and two billion. If the Georgia Guidestones are any guide, the real target is half a billion remaining humans, howsoever evolved. Post-humanity will be a new human, which has been genetically engineered and brain-chipped for total control. Part man and part machine, the new man will no longer have a need of the sexual reproductive function. If the elite’s plan is to reduce the population, can you think of a better way to do that? Estulin predicts the planet’s rulers hope to escape the planet they destroyed, sending the new Homo superior (H+) into space to colonize new worlds. They (The Hierarchy Enslaving You) have decided that the human experiment is over, apparently. As broad as he paints the landscape – toxic agriculture and pharmaceuticals, controlled economics, mass media disinformation, NBIC technology and HAARP-like mind control—Estulin missed geoengineering as one of the methods currently employed to control and/or remove the masses. This decades-long multi-pronged program fully supports his theme of depopulation. Some Morgellons sufferers and key researchers like Cliff Carnicom link geoengineering with transhumanism. Unique to Morgellons disease (or syndrome) is the presence of chimera fibers that extrude from the body. They contain biological and robotic features, proving they’re engineered; they also self-replicate. These fibers were collected from patients and after they fell from the sky as spidery filaments (not to be confused with Gossamer showers, a natural arachnid phenomenon). Morgellons is not a disease. It is a process. It is a form of forced/directed evolution of the human genome. It is the fetal stage of transhumanism, and it is upon us. This stealth project is being carried out with the use of the daily chemtrail operations, which are happening globally. Researcher Sofia Smallstorm also explores the idea in her speech, From Chemtrails to Pseudo-Life: The Dark Agenda of Synthetic Biology. The Federal Environmental Impact Statement filed by the air force for HAARP says that its transmissions ‘can raise the internal body temperature of nearby people, ignite road flares in the trunks of cars, detonate aerial munitions used in electronic fuses, and scramble aircraft communications, navigation and flight control systems.’ Even small increases in electromagnetic radiation can cause health problems such as cataracts and leukemia, also altering brain chemistry, blood sugar levels, blood pressure and heart rates. To save the biosphere from globalist ecocidal greed (though they blame human population numbers), they propose to convince the masses that human-directed human evolution is the only course of action to take. In fact, a new film, Crossroads: Labor pains of a new worldview, soft sells the entire notion of transhumanism and directly states that the goal is to create an entirely new species. Winner of numerous awards, the film has already captured the hearts and minds of the independent film industry and critics alike. The masses will eat it up, right along with their genetically modified, chemically doused, nano-adulterated foods and their daily regimen of pharmaceuticals. In TransEvolution, Estulin makes another significant contribution to the global conspiracy library, clarifying and furthering our assimilation and absorption of dense material. Forewarned is forearmed. Daniel Estulin also has a weekly TV show on RT network in Spanish. Desde la Sombra (From the Shadows) is the highest rated show in the Spanish speaking world with over 6 million viewers a week. http://actualidad.rt.com/programas/desde_la_sombra. You can also follow him at www.danielestulin.com/.